Financial emergencies seem to be the “stuff of legends” for the majority of people. We seem to think that a financial crisis can’t happen to “us” and that they always happen to “everyone else,” but the truth of it is that they do happen and yes, they can happen to you as quickly as the blink of an eye. That is why they are called a financial crisis. They usually happen very quickly and with very little warning. 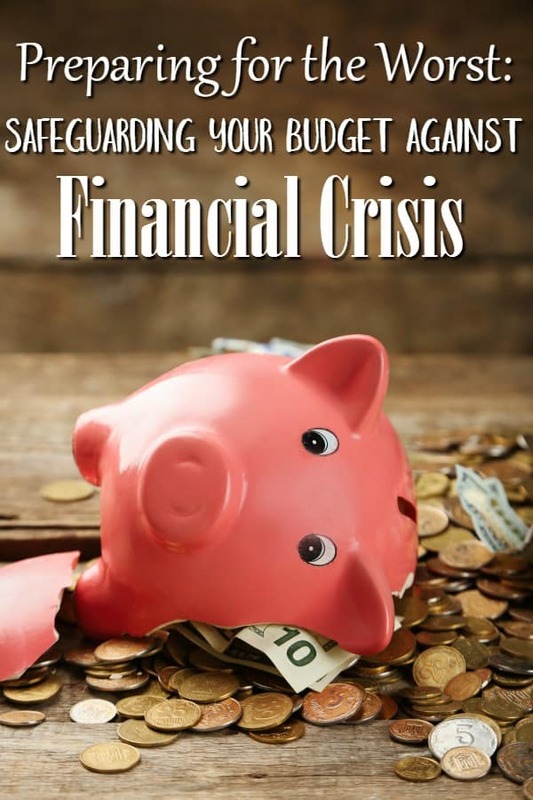 It is because of how quickly a financial crisis can happen that to be truly smart with your family budget, we need to do everything that we can to safeguard our finances. Making sure that you’re prepared for the worst can help your family survive if it does happen. For my family, our financial crisis came back in 2014 and I can tell you that it only took 4 weeks for that crisis to become solidly in place. In only a 30 day span, we had suffered an income loss great enough to devastate our family budget. Before the end of 2014 was up, we were in serious trouble and required a hand up by family. We had gone through our savings, had our power shut off twice, almost had our car repossessed and I had been unable to go grocery shopping for 9 months. Because I am self-employed, there was no assistance for us other than family. Needless to say? It was an incredibly depressing and trying time for the three of us as a family. Luckily, 2015 was a much better year for us and things turned out fantastic, but the scary part is that it could have turned out the other way. We could have lost our home. We could have lost our car. Things could have been much worse and we all know it. We had planned for the worst though back before the income drop and it was only because of that planning (and a $5,000 loan from family) that we survived until our income picked back up again. Now, at the end of 2016, we have those same safeguards in place, but with one difference. We learned our lesson. This time they’re bigger. For your family, your financial crisis may come for a different reason than ours did. Where we had an income drop, you may lose yours altogether. It may come in the form of an unexpected family emergency that requires your money such as an emergency trip home or a funeral. It may come because you lived above your means and are now in a hole. It doesn’t matter why a financial crisis happens. What matters is the steps you have taken to safeguard your family for when it does. Let’s get something out of the way real quick: No matter who you are, you are not immune to having a financial crisis. You have the exact same risk of having one whether your bank account has six figures in it or if it only has six dollars in it. We see it happen all of the time to people who are millionaires. Spending is spending. Being careless with your money is being careless with your money. Emergencies do not discriminate between the “rich” or the “poor.” Keep that in mind and you will likely fare much better in your next crisis than the guy next to you who has forgotten that his finances are at risk. Know Your Net Worth – The first step to safeguarding yourself against a financial crisis is knowing how to figure out your net worth. It may just be a number, but it is one of the most important numbers that you’ll ever have in your life. Your net worth allows you to get a clear picture of your current financial status and will show you where any issues lie so that they can be fixed. Make sure your budget is updated and working – Having a family budget in place is an absolute must to protect yourself from a financial crisis. Not only that, but you need a budget that actually works for your family. A budget isn’t going to do you much good if it isn’t functional for your family. Once you’re sure that you’ve taken the time to create a family budget that works for you, make sure that you take the time to update your budget when you should too. Not doing both could spell disaster in the event of a crisis. Always have a funded emergency fund – Another must have to protect yourself from a financial crisis is a fully funded emergency fund. This means that you should have 3-6 months worth of expenses saved up at the bare minimum. This may seem impossible for you to do (because let’s face it, that’s a lot of money) but I promise it isn’t. You can work to add extra income to your budget each month. You can work on how cutting your expenses to boost your savings account. If your budget is already tight, you might have to work at it, but you can do it. Always have cash on hand – No matter how much is in your savings account, always make sure that you have a few hundred dollars in cash stashed away too. You never know what will happen and you may someday find yourself in a situation where you can’t get to a bank. Just be sure that you keep your cash someplace safe like a fireproof safe with a lock so that if an emergency happens, it wills till be protected. Invest your money – Investing doesn’t have to be hard and despite what most people think, you really don’t need a boatload to get started. For those that have never invested before, there are several simple ways to invest your money that can help you get started. Money Market accounts, robo-investors and precious metals are all great places to start. By having a few investments on the side, especially if you invest and then leave the money alone to grow, you create multiple streams of income for yourself and one more layer of protection against a financial crisis. Build a stockpile – Earlier I told you that in 2014 I wasn’t able to shop for 9 months. My family still ate the same way that we did before our income loss due to one thing. I knew how to build a stockpile and had spent the previous two years doing so. We stockpiled our favorite canning recipes, we had our favorite dehydrator recipes stocked, regular canned goods and lastly, our favorite freeze dried foods. This stockpile allowed us to eat healthy meals at a time when we couldn’t shop for food. Boost Your Income – Taking the time to not only save money, but to build wealth as you’re saving is the next step toward protecting your family budget against a financial crisis. To do that though, you’ll need to boost your income. 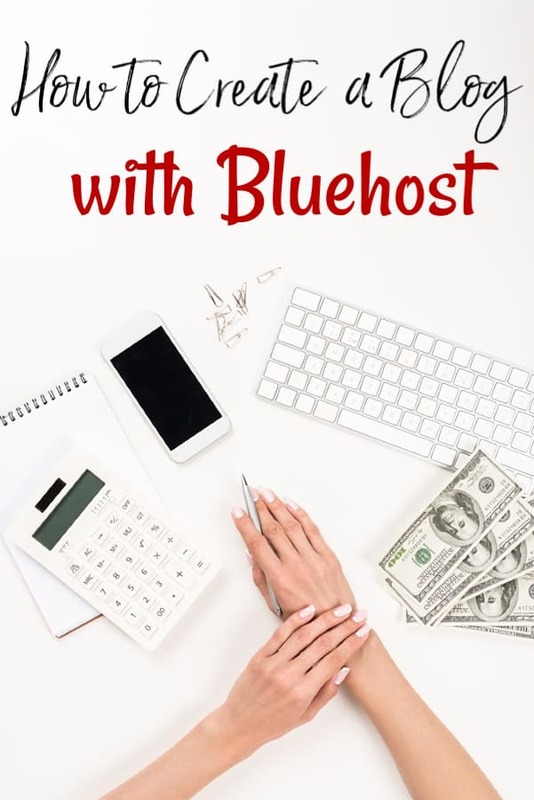 This means taking side jobs to earn extra cash, finding unique ways to earn cash, finding an way to earn extra cash online, starting a business or taking a second job. To protect your family budget from a financial crisis, you’ll want to have as much money coming in as possible. Pay off your debt – If a financial crisis hits, the last thing you’ll want is to have debt. As I said, when ours hit in 2014, we had a car loan and because of our financial troubles that year, we almost lost the car. Had our debt already been paid off, it wouldn’t have been a worry. Paying off debt doesn’t have to be hard since there are quite a few easy ways to pay down debt that you can use to help. Whatever you do though, pay it off as quickly as possible. Learn to Stop Buying and Make Homemade – Bear with me and let me explain but learning to stop buying and starting making the things that your family uses on a regular basis is protection against a financial crisis. When you know how to make those items at home, you can avoid buying them if you need or want. In a financial crisis, you may not have the money to buy them. For us, we ended up with a rather large list of things to stop buying and make that we kept making even after our finances were straightened out. Along with learning to make the things you currently buy, you might also want to take a look at what you can reuse to save money too. Both can keep you from spending at a time when you’ll really need to spend as little as possible.